Note: A minimum quantity of 288 must be ordered, and in units of 24 thereafter. 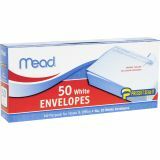 Mead Plain White Self-Seal Business Envelopes, #10 (4.13" x 9.50"), Peel & Seal, 50 Envelopes/ Box - No. 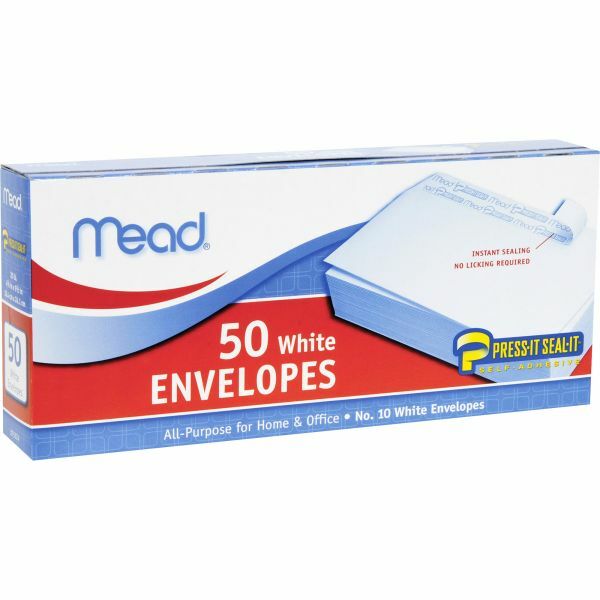 10, all-purpose white envelopes are ideal for use in the home or at the office. Press-it Seal-it design makes mailing more efficient and professional. Simply peel the adhesive strip, press and seal. Each 20 lb. envelope also features a square flap.